Hi everyone and welcome to a brand new week ... which also means we have a brand new challenge to share with you all. This week is our CNFS or Catchy Name Featured Stamper challenge where we select a member from SCS who has a 'catchy' user name. We then create our cards using that name as our theme and send all the cards we made to that person. This week our CNFS is ........................... Stamps'nCoffee!!!!!!!!!!!!!!!!!!! 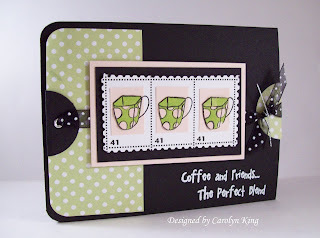 So our challenge this week was to create a coffee themed card. 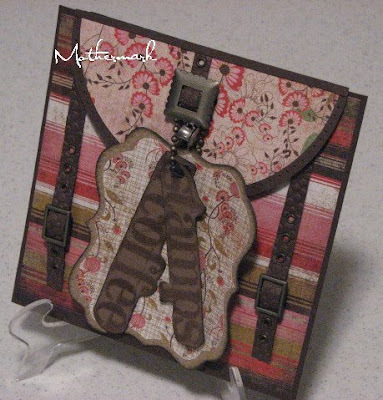 If we could find a way to add something stamp related on your card like a image of a rubber stamp or similar that would give us extra bonus points. Ok in case you don't already know ... it doesn't really matter if we get extra bonus points or not cause none of us win a prize ... it is just something we say sometimes haha! Now don't forget that we would love you to play along with our challenge too. 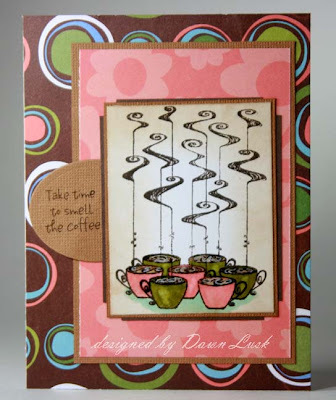 When you have created your coffee themed cards ... come back here to leave a comment on this post so we can check out your cards. If you are uploading to SCS the keyword to use is: CCEEC. hehe...extra points...and I think double since Frances and I used the same! bonus points for me too haha! Lookin' good girls, love all the coffee cards. ooohhhhh......its finally raining this morning after a VERY hot weekend and a nice cup of COFFEE is just hittin the spot. 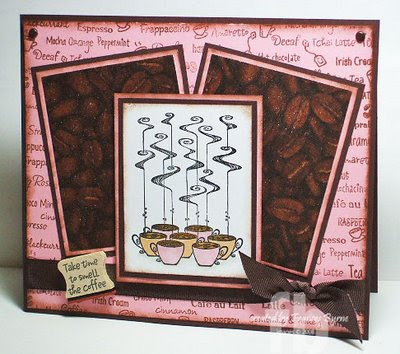 I love that coffee bean paper, and the shaker. Great stuff, ladies!! I am still borrowing my girlfriends Espress Yourself set, this is a challenge I can DO!! How wonderful!! What grand designs! I can just smell it!